I was up at my boyfriends cottage this weekend in cute little Fenelon Falls and it officially felt like summer, it was amazing. 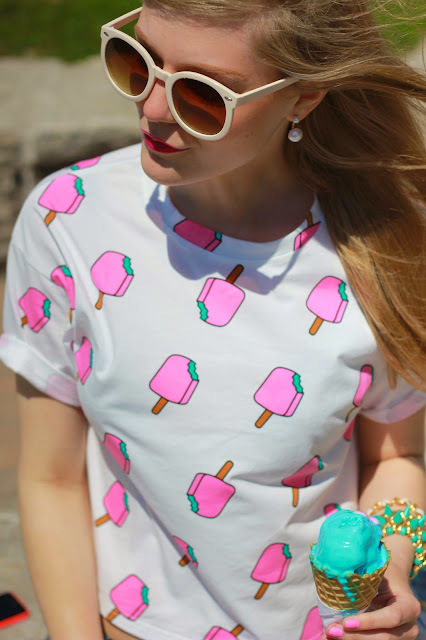 With all the warm weather excitement I knew it was crucial to head into town and grab some ice cream...especially with my popsicle shirt from Sheinside. 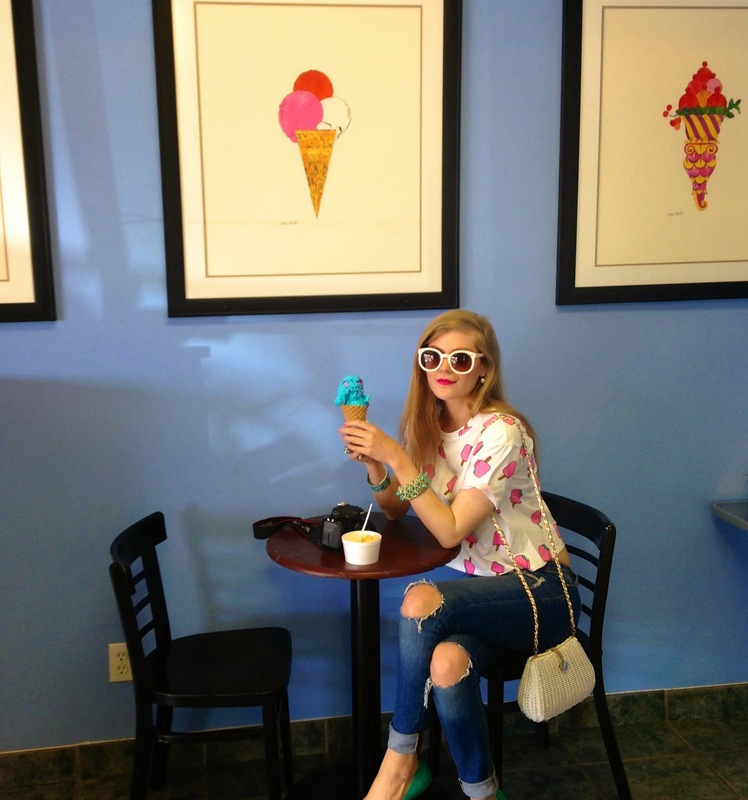 I will definitely be wearing this shirt a lot throughout the summer, its so much fun!! !